Nadean Mae Perkins, loving wife, mother and friend, passed away peacefully on June 19, 2018 with her family by her side. Mom battled her cancer courageously and fought hard to have a few more precious moments with her family and friends. 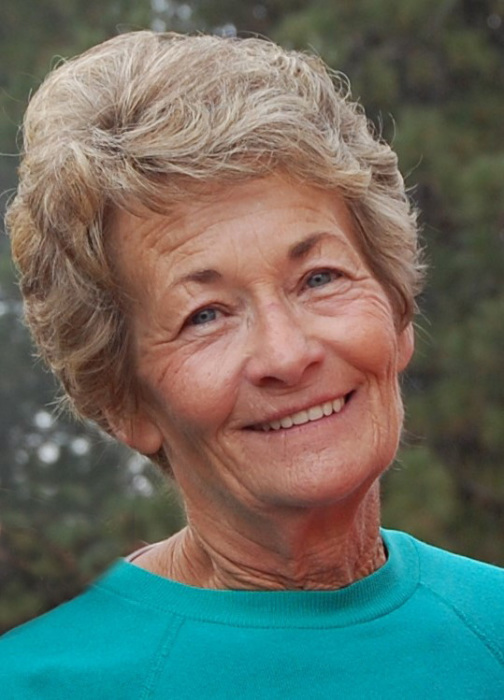 Nadean was born to Wan and Clara Davison on October 23, 1946 in Letha, Idaho. Nadean lost both of her parents at an early age and moved to Salinas, California to stay with family. Mom graduated from high school in Salinas, and soon after she married Bob Perkins, the love of her life, on February 20, 1965. Nadean and Bob resided in Salinas, CA where they had two boys, Bob and Brad. Mom and Dad moved the family from Salinas to Boise, ID in 1976 to raise their young boys and to be closer to family. Mom had various interests and hobbies throughout her life, but what she enjoyed most was working in her yard and garden and spending time with family and friends at her place in Cascade. Mom always made all our family’s events and holidays special. Our hearts are heavy without her. Mom was a medical coder for a few different doctors in Boise. She met many of her close friends through work. She enjoyed very much the friendship and loved her friends dearly. Mom especially loved her grandkids and her great grandson Shayn. She loved them with all her heart and treated them so well. Nadean is survived by her two boys, Bob and his wife Leslie; Brad and his wife Amber; her grandchildren Chandler, Caleb, Cody, Kaylee, Cash, Cameron, Evan, and Stormi; her sister Nancy Skidmore, brothers Jerry Davison and Gary Davison; sister-in-laws Sue Brockway, Jan Reed, Mardi Davison and Barbara Perkins and numerous nephews, nieces, and cousins. Nadean was preceded in death by her husband Bob Perkins, parents Wan and Clara Davison, Lawrence and Annabelle Perkins, and her brother Albert. Funeral services will be held Monday, June 25, 2018 at 10:00 a.m. at the Potter Funeral Chapel 228 E. Main St. Emmett, Idaho 83617 and burial at the Ola Cemetery with lunch to follow at the Ola Community Center. The family wishes to thank Horizon Home Hospice for their gentle and respectful care of our mom. Mom you are free from cancer, dance a bit with dad!